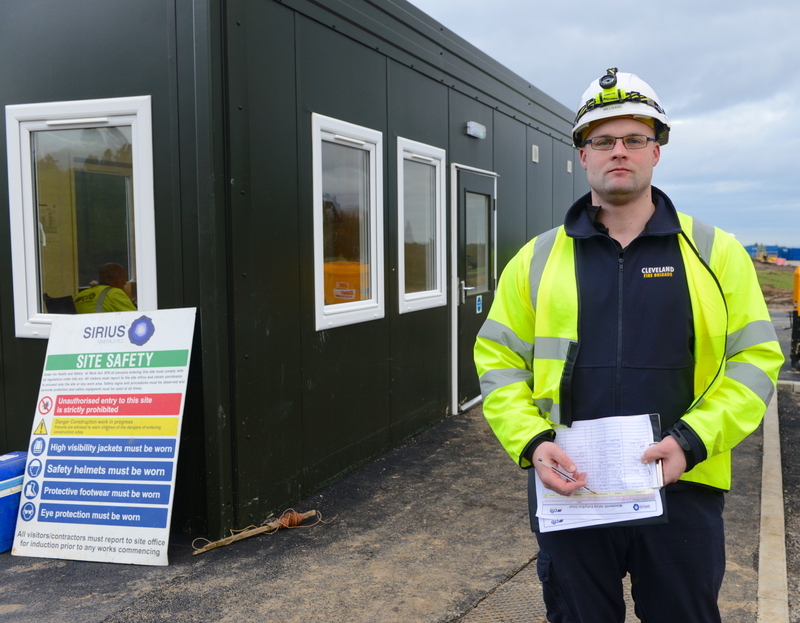 Premier Modular was appointed to provide the office space and welfare units by Sirius Minerals for their new mine site near Whitby in North Yorkshire. 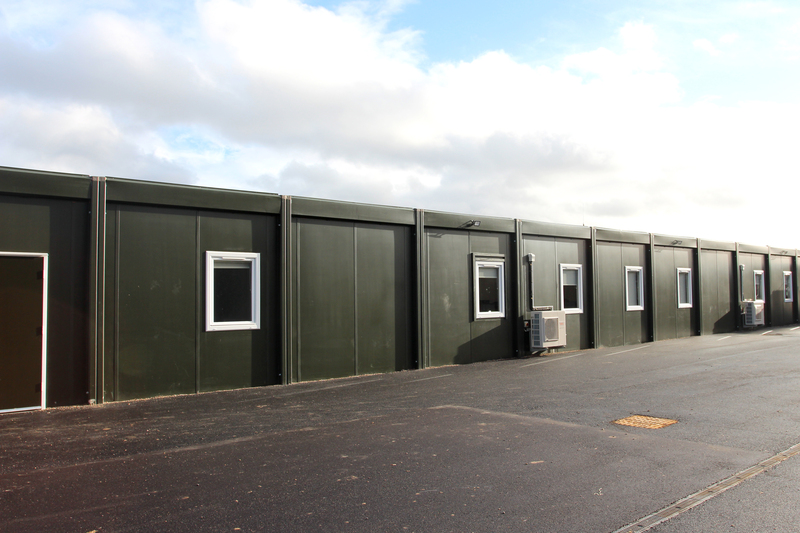 Premier was selected for this prestigious project due to their ability to produce the highest quality modular site accommodation in the UK. 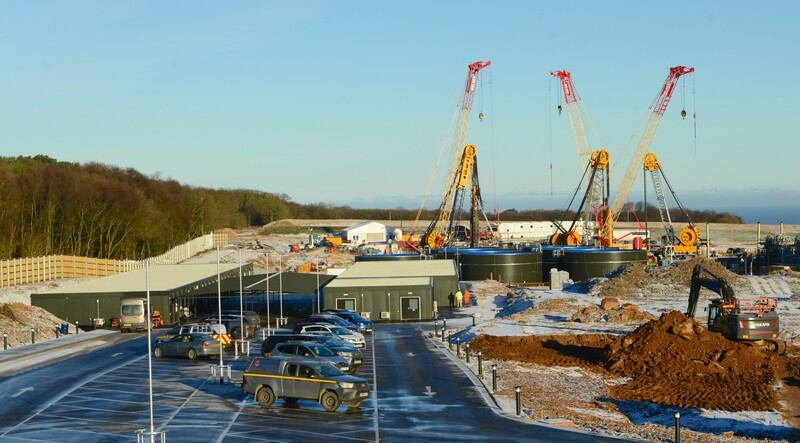 Sirius Minerals’ project involves the construction of two deep mineshafts to access a polyhalite mineral deposit, connected to a 23 mile tunnel to transport the mineral via conveyor belt to Teesside, where it will be processed and shipped around the world to be used as fertilizer. 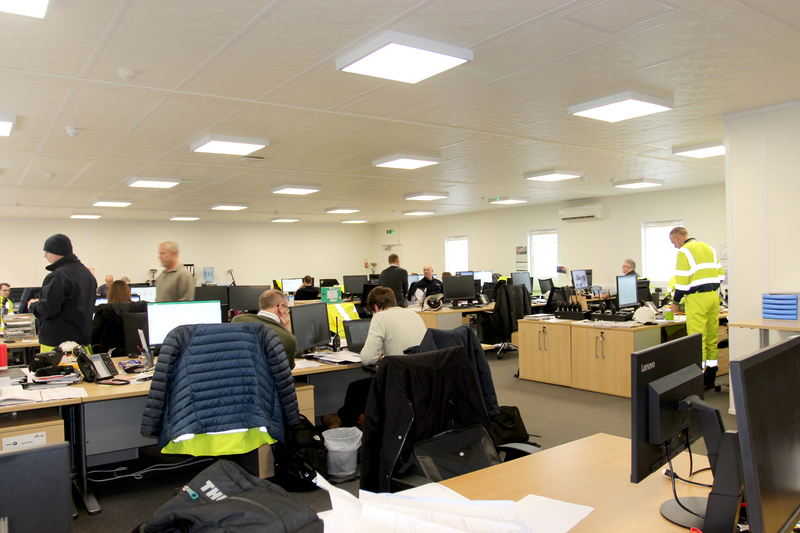 Construction of the mine, one of the biggest construction projects in the North of England, began last year and the mine is due to enter production in late 2021 creating up to 2500 jobs and £2.5bn of exports. 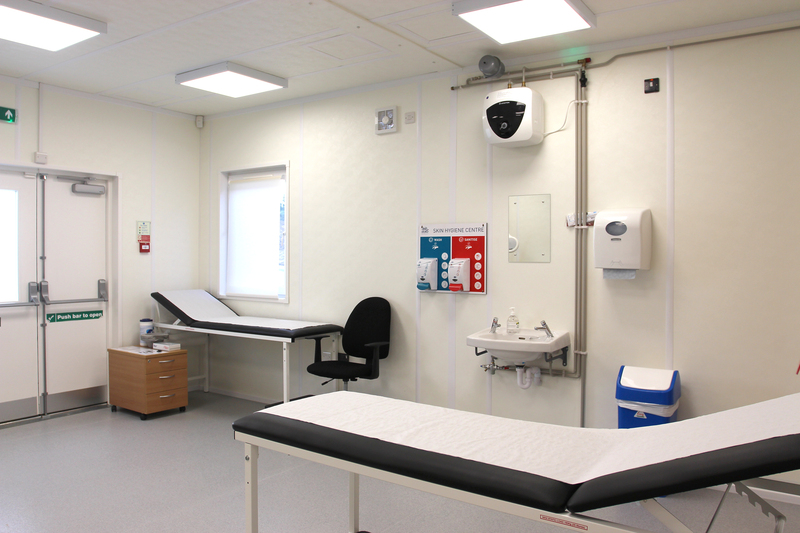 Premier Modular has supplied 49 modular bays laid out as a 26 bay building, a 17 bay building and a 6 bay medical facility. 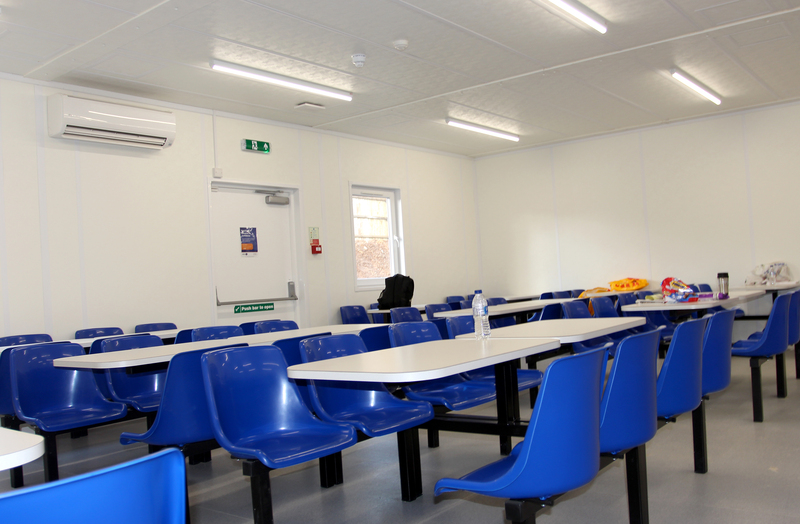 The accommodation provided includes bespoke shower blocks, changing rooms, a medical centre, large canteen, kitchens and first aid rooms, an induction room, dry stores, and a huge open plan office space with over 100 desks as well as meeting and board rooms with movable partitions. 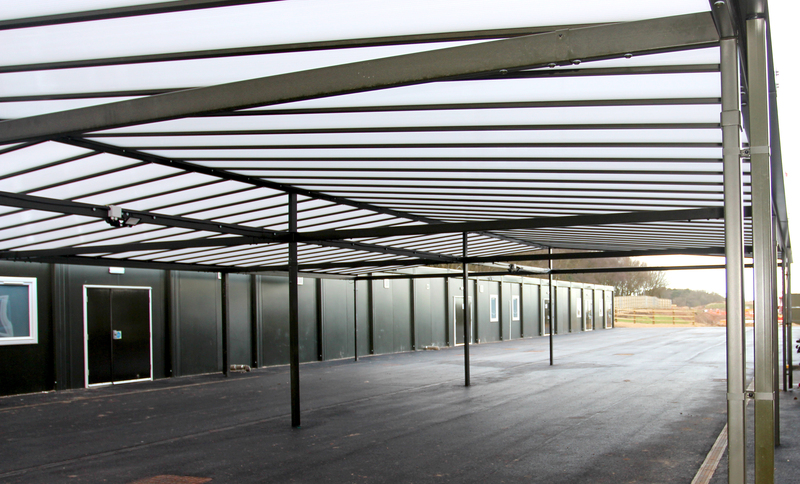 The buildings were equipped with a full Cat 6 Data fire alarm system and a large canopy was installed in between the modular buildings to create a weatherproof central area for the staff at the site to move between buildings. 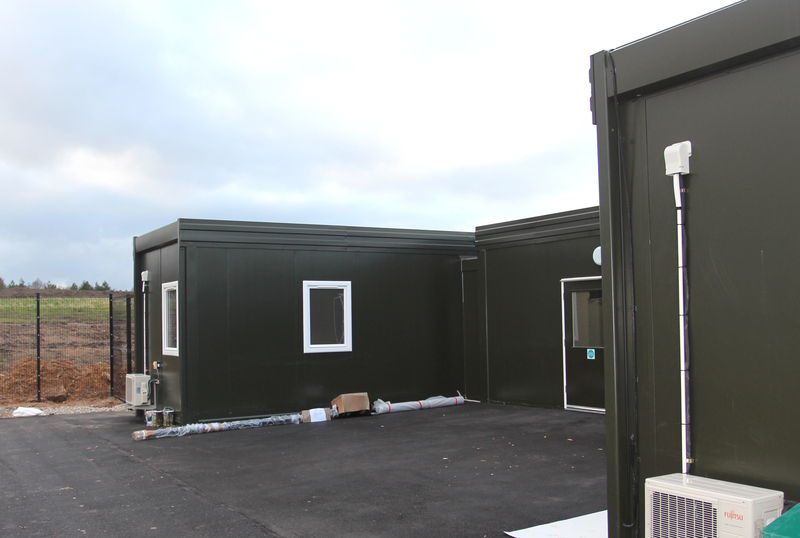 A modular security gate house and security check area was also supplied in a pre-constructed building form for contractors and people visiting the site. 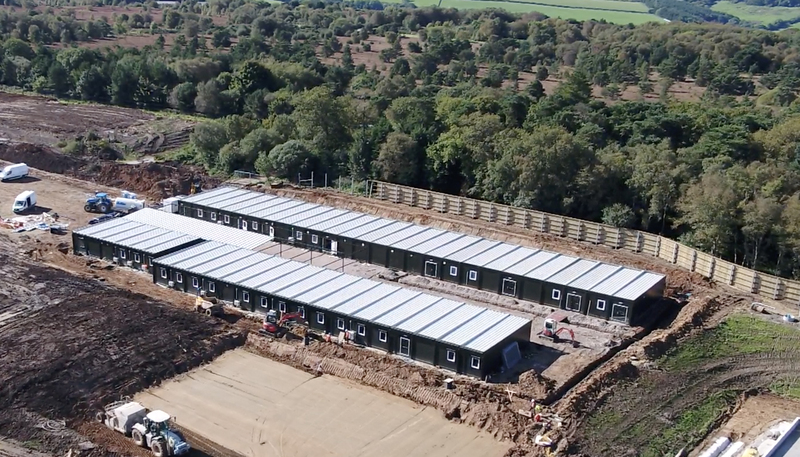 All the modules were painted in a dark green to fit within the landscape of the North York Moors and in line with the mine design strategy, in which all major infrastructures will be sunk below ground and any surface buildings must blend in with their surroundings. 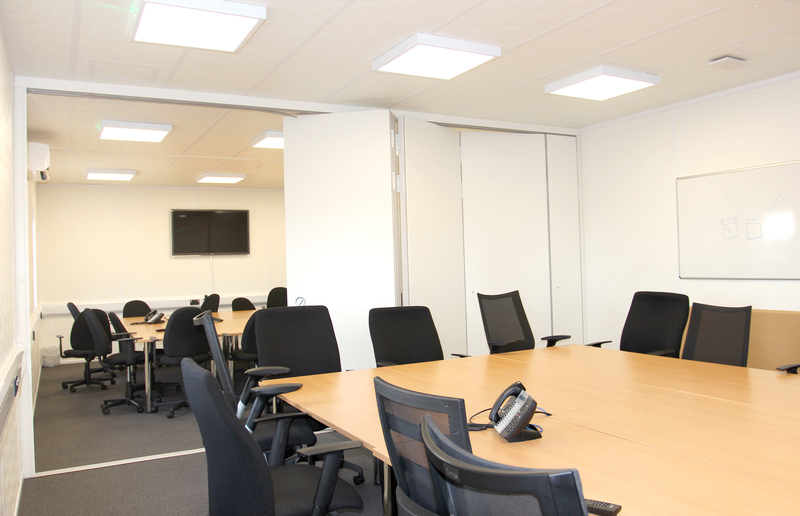 The building has been designed with double and single access doors incorporating vision panels and UPVC double glazed windows with specially designed metal shutters to create a blacked out building at night to reduce environment impact for local residents. In addition, site installation was carried out over weekends to minimise any disruption on the local country roads. 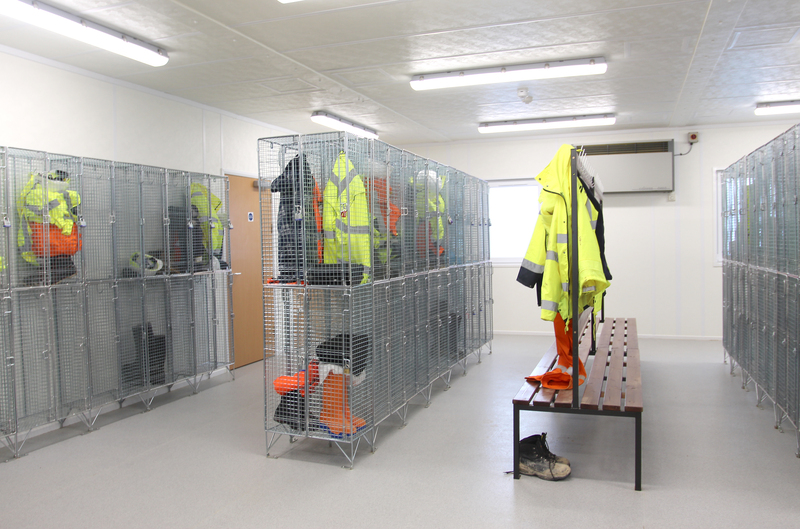 This is the first phase of the site accommodation to be provided; later this year an additional floor with internal staircases is scheduled to be added, offering more office and welfare space to service the client’s increasing workforce as Sirius Minerals’ polyhalite project gathers momentum.